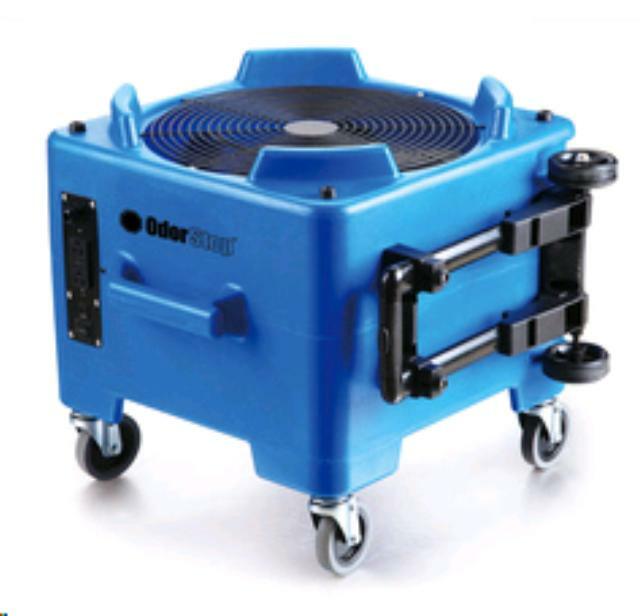 The OdorStop OS4300 is a revolutionary air mover designed to blow air straight down, allowing it to dry floors in half the time of conventional blowers. It is also useful for drying wet materials, air ventilation, extraction and circulation. It can be used as a downdraft or as a regular air mover simply by standing it upright. The OS4300 has an extra long 30 foot safety yellow power cord and a 2 speed waterproof switch, making it the perfect choice for all air moving needs. * Please call us for any questions on our downdraft floor dryer 16 inch rentals in Cornelius NC, Lake Norman, Mooresville, & Davidson, North Carolina.